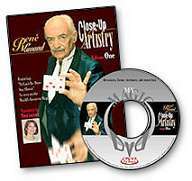 Rene Lavand is one of the true artists in the world of Close-Up Magic. 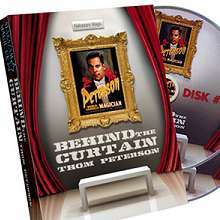 His presentations and performances have a poetic and artistic quality to them that never fail to earn standing ovations. Mr. Lavand has achieved legendary status and is without a doubt one of the most highly skilled close-up magicians of the past century. His stature is even more amazing when you consider that he accomplishes everything using only one hand. Watching him will inspire you to strive for excellence. Each volume begins with a twenty-minute performance followed by a walk-through of how everything is accomplished. Interspersed throughout are detailed explanations to many of the original techniques, sleights and subtleties Ren頨as created. 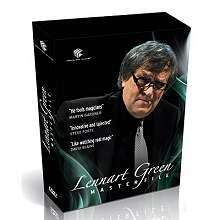 Volume One - The highlight is a very detailed explanation to his It Can't Be Done Any Slower, Rene's hit of the World's Greatest Magic II television special. The Show includes: My Visiting Card, A Triumph, An Amusement, Why Do The Colors Alternate Themselves?, A Few Red Cards, A Few Black Cards, and It Can?t Be Done Any Slower. 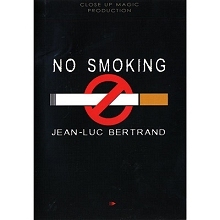 Volume Two The highlight is a very detailed explanation to Rene's favorite routine, Three Bread Crumbs, which he uses to close his shows and receive standing ovations. Rene's Gambling Routine Using Fifths, Fourths, Thirds and Seconds is also performed and explained.